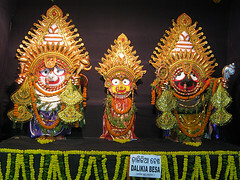 This besha is observed on 14th day of dark fortnight of Margasir Month. 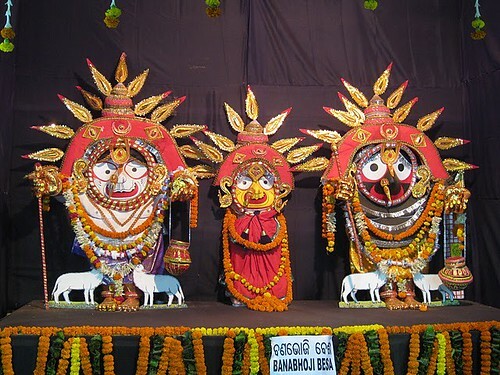 In accordance with Hindu culture, Sri Jagannath himself offers shraadha Tarpan to their parents such as Dasarath, Nanda, Basudev . 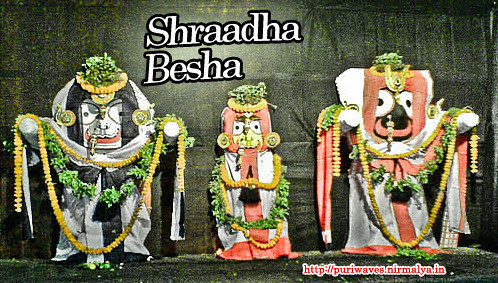 During Shradha Sri Jagannath is decorated with this Besha. On this days He offers light (deepa) to King Indradewimna who built the temple as per legend. 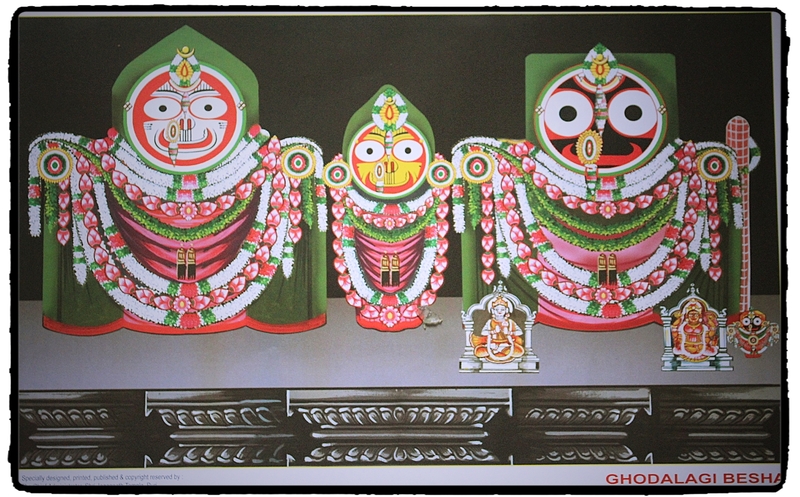 On this occasion Sri Jagannath wears 27 feet long cloth, Balavadra 21 feet long cloth and Subhadra 18 feet long cloth. 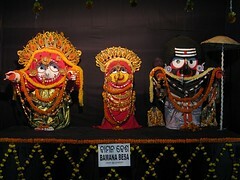 Their heads are covered with Sirikapada (a special form of cloth). 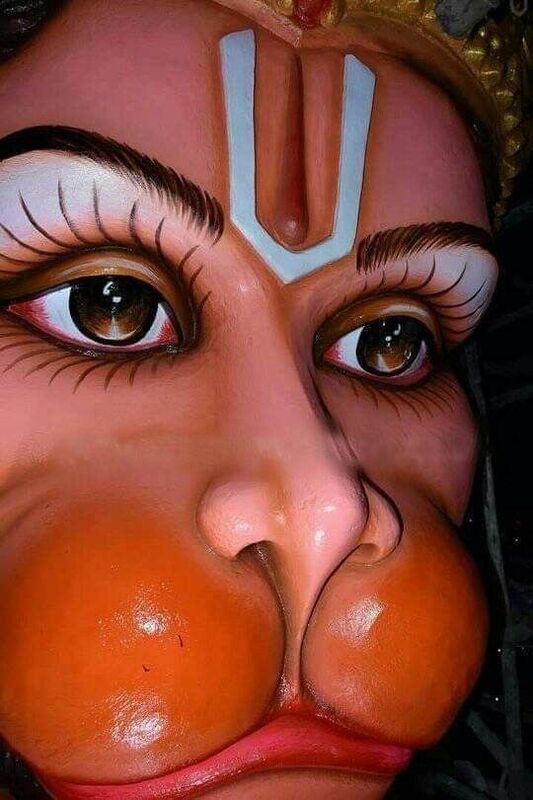 This Besha is observed before chandan lagi (application of sandal paste).